If Simon didn’t want a driver to get to his inside, he needed to block the inside. If you look at the video, you’ll see he was looking to the right mirror as Newgarden appeared and pulled by on his left hand. It was a fake, it worked. Newgarden did move Pagenaud up the track a bit as they ran out of room at the entry of turn 1. 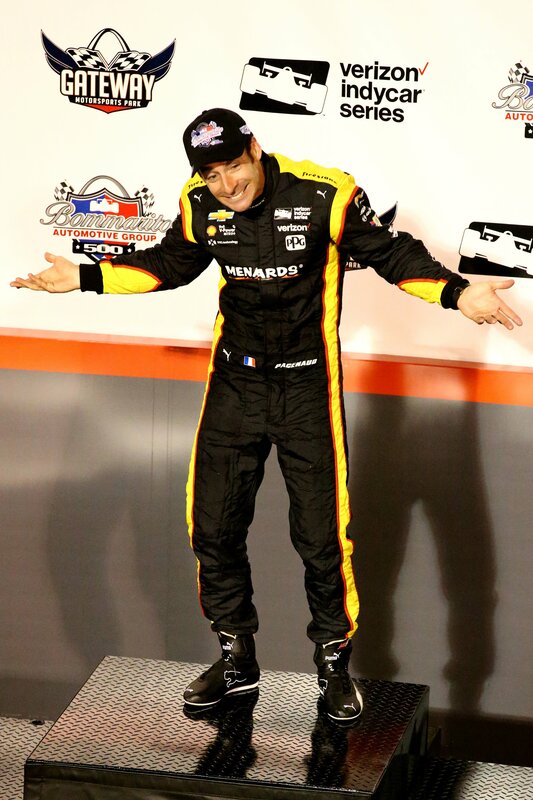 But, that was after the fact that Pagenaud pulled down a bit further when he realized Newgarden was already there. 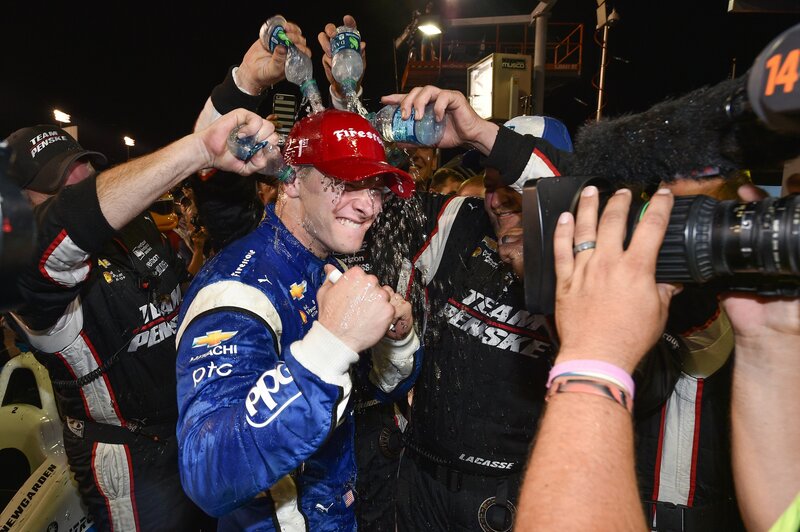 (1st): Newgarden, “You know, with Simon there, I wanted to get to the inside of him. He gave me the lane. So, I took it! “I didn’t mean to touch him and push him out a little bit but I’m happy he obviously didn’t get into the wall. That’s racing! You know, we gotta go racing at the end of the day. Josef felt there was room there to make the move. What’s Simon’s opinion on that?